A visit to Peru is incomplete without seeing the majestic Machu Picchu. 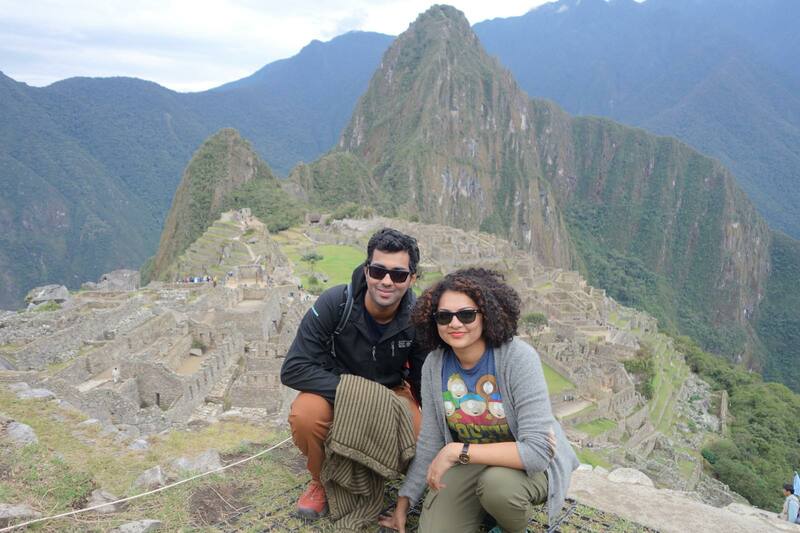 After spending few days in beautiful Cusco, Saurabh and I were ready for our next adventure. We both were very excited about seeing Machu Picchu because we were awed by its beautiful pictures as well as the mystery surrounding this sacred city. Machu Picchu is a beautiful ancient city located about 2400m high in the Andes mountains in Peru. This place was considered to be the sophisticated city for elite people in the Inca but was later abandoned at the time of Spanish conquest of the Inca empire. This city is hidden high up in the mountains and very well protected, even the Spaniards were never able to find this place. Thus this place is of high cultural significance as ruins here are still in pristine condition just like in the Inca times. Today Machu Picchu is a very famous tourist destination — you can visit this place by Rail (Peru Rail or Inca Rail) or by trekking the beautiful Andes mountains. Inca Trail is the most popular trail that takes you through Inca ruins all along the way and is considered to be the path used by indigenous people to the Sun temple. Only 500 people are allowed on the trail each day including porters — this trail easily gets booked 6 months in advance. Other popular alternate treks are Inca Jungle and Salkantay Trek. The Inca Jungle Trek is a 4-day trek that involves biking, hiking, rafting and zip lining along the way. 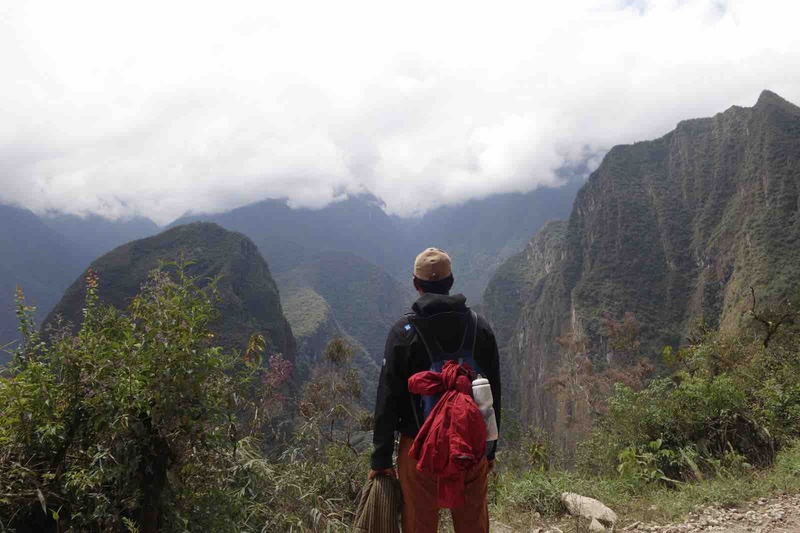 Salkantay is a 4–5 day trek through the Salkantay Mountain Pass and is more strenuous than Inca trail. We had booked an Inca Jungle Trek but unfortunately, due to a protest along that route, it got canceled. So we booked a train from Cusco to Machu Picchu. 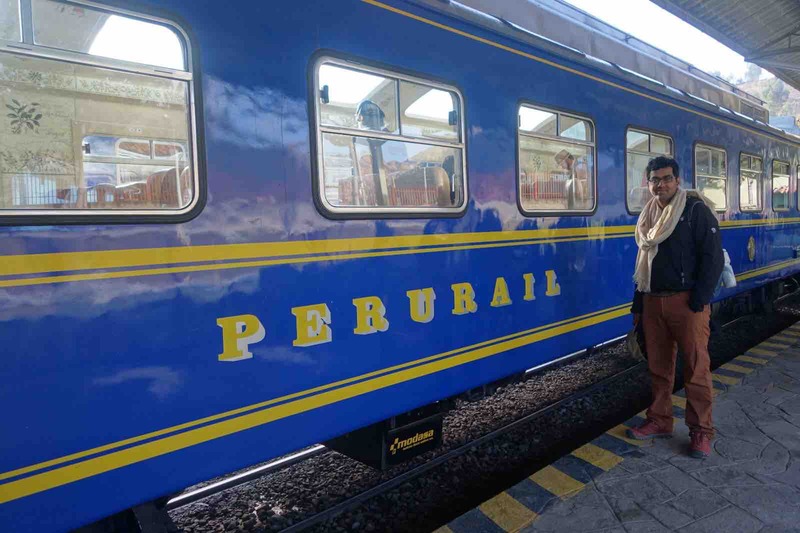 Peru Rail and Inca Rail both have daily trains to Machu Picchu with basic to luxury coaches. We decided to go via Peru rail since its station was closer to Cusco. For Inca rail one has to go to Ollantaytambo which is around 1 hour drive. Train route to Machu Picchu was very scenic — full of lush green lands and snow-laden mountains. After almost a 3 hour ride, we reached Aguas Caliente — a small town at the footsteps of Machu Picchu. We walked towards our hostel through local souvenir shops full of tourists— everything was very colorful and vibrant. There are many options to stay from high end hotels to basic hostels. We stayed at a simple clean hostel and fortunately we had great view of Aguas Caliente river from our room. This town has lots of restaurants and coffee shops — but be careful with inconsistent service tax norms. We experienced some restaurants charging us 20% service tax at random while others never did. 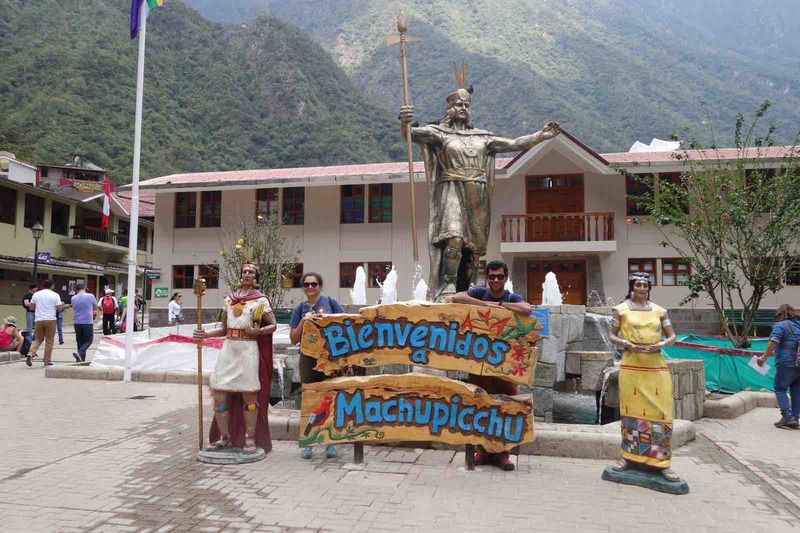 At the center of the town there is a huge statue of the Inca King right next to a small fountain. There is a ticket counter (INC) where you can purchase your tickets for Machu Picchu which is very convenient and open till 8 pm. You can buy entrance tickets online or in Cusco too. 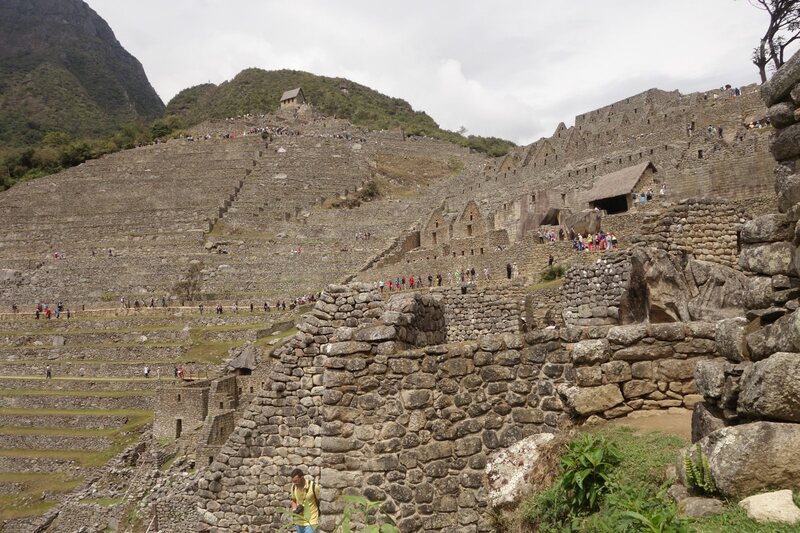 When we were in Cusco we were told that the tickets for Machu Picchu were sold out for the date we were visiting. 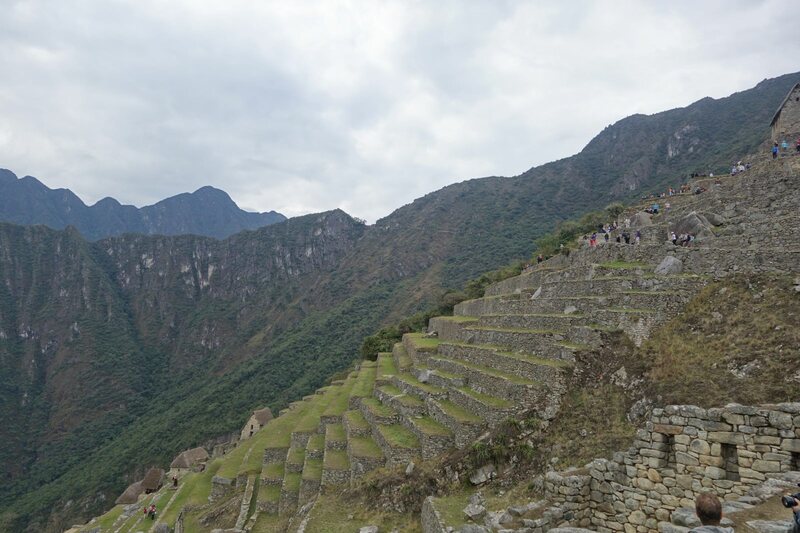 We didn’t want to be in Machu Picchu and not visiting it because of unavailability of tickets so we made the mistake to asking an agent to buy tickets for us. Not only did she charge extra but messed up the date to visit Machu Picchu. Even though she fixed the problem on the morning of our visit, but the enitre episode was very stressful. Next day we got up early for our trip to Machu Picchu. There are two ways to get there – you can either hike for 6km uphill or take a bus, which leaves every 10 min. We decided to take the bus one-way and walk our way back. The bus stops right at the entrance of Machu Picchu. We had booked our tour with an agency and they had both an English and Spanish-speaking guide. Our guide was knowledgeable and gave us a great tour of the Machu Picchu city. He also helped us in taking great pictures. He walked us through the history of the Inca civilization as well as told us stories about their ruler Pachacuti. He explained how Hiram Bingham found this place in 1911 when he was looking for the lost city of Incas ‘Vilacamba’. He also showed us farming terraces that the Incas built for growing potatoes, quinoa and corn. 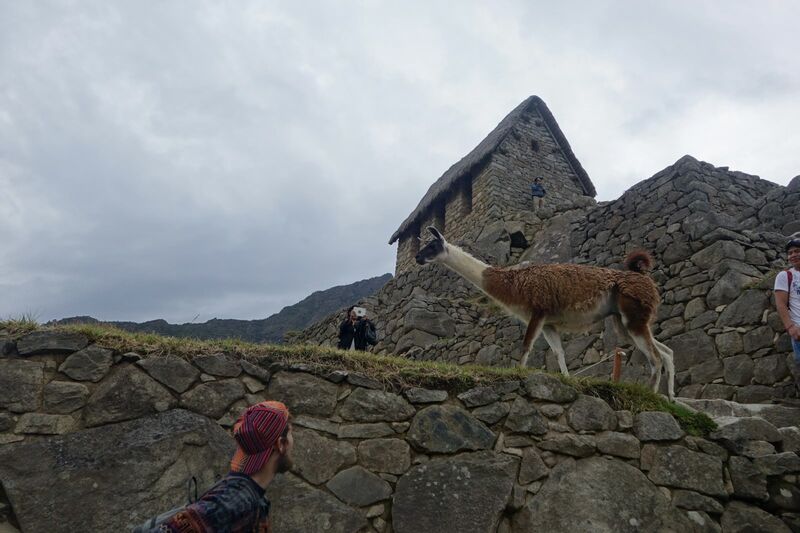 You can easily see some Llamas grazing in those terraces.Machu Picchu city had various rooms built only from rocks. 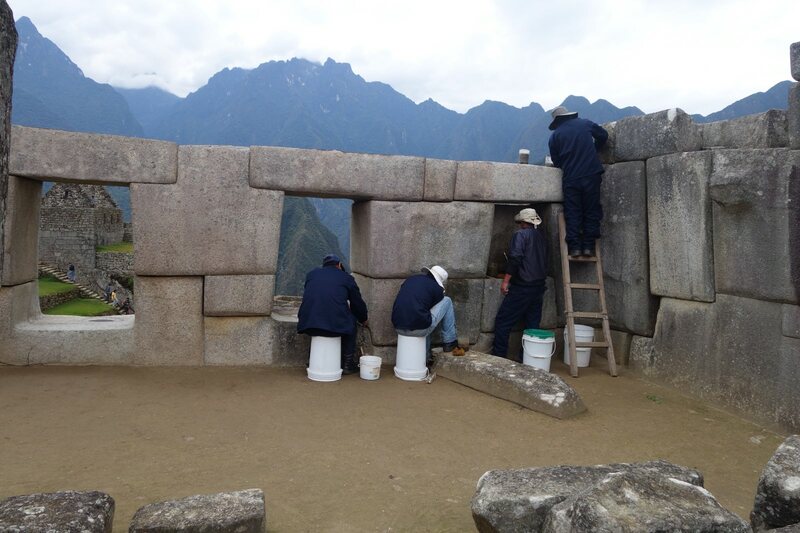 There are lot of efforts going on by Peruvian government to preserve it’s cultural heritage. The city took good care of the structures by cleaning Lichens off them to prevent erosion.As we walked around, we saw more rock structures, amphitheaters, sun-dials and agricultural terraces. 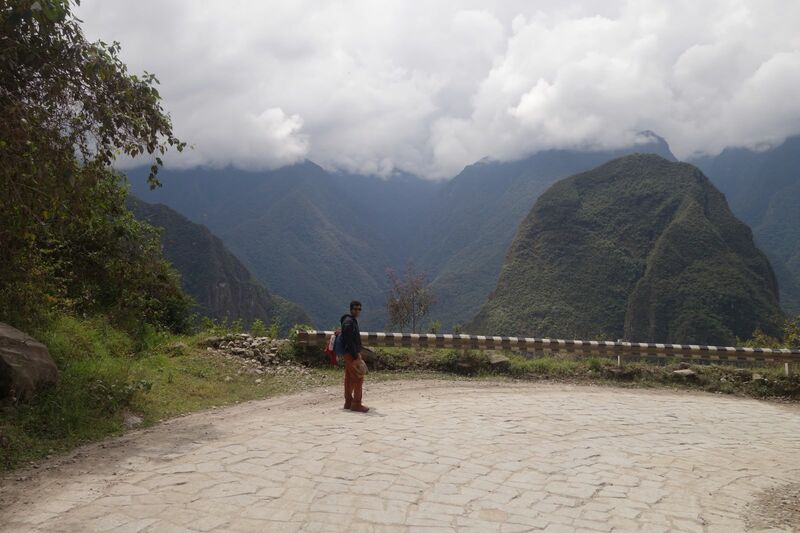 The mountain next to Machu Picchu city was Wayna Picchu — It was huge and marvelous. You can hike up this mountain too and can buy tickets while buying the ones for Machu Picchu. After spending most of the day in Machu Picchu, we decided to walk back to the city. The route back was simply breathtaking. We saw lush green mountains and waterfalls throughout the course of our trip. Hike path are clearly marked by green arrows that takes you back to the city. After a long tiring but fascinating day we had nice beer and lunch in town. We spent another night in the town, shopped some souvenirs and got ready for our train the next day. It is very important to book your return train ticket in advance as it gets sold pretty fast.